Authorized HP LaserJet Enterprise 600 M601, M602 and M603 printer repair | HP M601, M602, M603 printer service in Los Angeles, Orange County, San Bernardino Ca. Fast on-site LaserJet 600 M601, M602, M603 service error code repairs in Southern California. Laser Printer Services HP LaserJet 600 printer Repair Company provides HP LaserJet M601, M602, M603 printer service in Southern California. We specialize on HP LaserJet 600 series M601, M602 and M603 printer repair service with print defects, vertical lines, horizontal lines, repeating dots, error messages, error codes, maintenance errors. We provide fast onsite Laser Jet M600 maintenance service in Los Angeles, Orange County and San Bernardino. Our technicians have the knowledge and technical ability to repair HP Laser-Jet M601, M602, and M603 printers on the first visit. Free cleaning on HP Enterprise LaserJet M601, M602 and M603 printer repair in Southern California. Our HP M601, M602 and M603 printer service technicians carry most common repair parts to fix HP M600 printer hardware errors and numerical error code. We carry Genuine fuser kit part number CF064A for HP LaserJett M601, M602 and M603 printer. 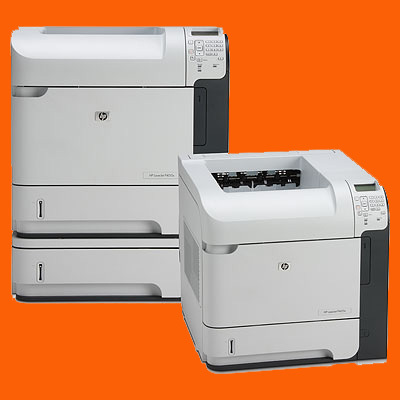 We offer LaserJet M601, M602 and M603 series printer repair with 6 months warranty on parts and labor. Our technicians carry Genuine HP LaserJet M600 Maintenance Kit CF064A and fuser units RM1-8395 for fast onsite service. We stock HP laserjet M600/M601/M602/M603 optional 500 Sheet Feeder and Tray CE998A. We provide quick onsite repair LaserJet 600 M601, M602, M603, M604, M605 and M606 printer with 50 service error 50.1, 50.2, 50.3, 50.4 and 50.5 Fuser Error. HP M600 Duplexer CF062A Compatibility - HP LaserJet Enterprise 600 Printer M601 series; HP LaserJet Enterprise 600 Printer M602 series; HP LaserJet Enterprise 600 Printer M603 series; HP LaserJet P4014 Printer series; HP LaserJet P4015 Printer series; HP LaserJet P4510p printer series. HP LaserJet M601, LaserJet 602, Laser Jet 603 toner cartridges for sale! We carry HP CE390A and CE390X Black toner cartridge with free delivery in Los Angeles and Orange County at discount price. These Cartridges are designed to work with HP LaserJet M601, M602 and M603 series printers. We sell high-capacity, long-lasting Average cartridge yields 12,000 pages on the 90A series and 24,000 pages on 90X series cartridges. The LaserJet M600 prints at 52 pages per minute on Letter size paper! HP Laser Jet 600 series printer keeps your workflow moving with fast output and precision paper handling. HP M600 printer Print at rapid speeds on a variety of paper types. Manage workflow with intuitive features right on the Laser Jet M600 printer, and get quick prints from a flash drive. The HP LaserJet M601 and M602 printer produce high print volumes with low maintenance. The Hewlett Packard M600, M601 and M602 replace toner cartridges easily, and enjoy quiet, clean performance. The HP LaserJet enterprise 600 takes the lead in meeting company wide conservation goals, with energy-saving features from HP LaserJet M601, M602 and M603 printer repair/service. Trim paper use by up to 50% with automatic two-sided printing on HP LJ M601, M602 and M603 printer. Pre-installed Original HP laser M600 series toner cartridges reduce waste. Recycle them for free through HP Planet Partners. Take control of printing practices and enforce security policies, using HP LaserJet M601, M602 and M603 Access Control. The Laser M600 Control costs, manage IT resources, and reduce environmental impact. Use HP LJ M600 enterprise printer to expand your network without compromising security. The HP LaserJet M600 series M601, M602 and M603 printers effectively manage compliance and security issues across your business. The LaserJet M601, M602 and M603 printer easily update, manage, and expand the capabilities of networked printers, and do more with your investment. Laser Jet M600 series printer make printing as mobile as you are with HP ePrint. Hewlett Packard M600 enterprise M600 series printers M601, M602 and M603 extend your investment by adding functionality using the hardware integration pocket. Fast on-site HP LaserJet 600 Enterprise M601, M602 and M603 repairs with service error codes! We repair HP M600 series M601, M602 and M603 numerical error codes! Error Description: Generic jam event code. Error Description: Power on jam at the Tray 3 feed sensor. Error Description: A power on jam has occurred. Error Description: A door jam has occurred. Error: 13.FF.FF Error Description: A power on residual paper jam has occurred (sensor). Error Description: This jam occurs when a door is opened during printing. Error Description: A jam in the fuser area has occurred. Error Description: A miss feed jam has occurred. Error Description: A jam exists inside the envelope feeder. Error Description: A jam exists inside the top cover. Error Description: A product error has occurred. Most Common HP LaserJet 600 M601, M602 and M603 printer parts in stock to provide, fast onsite service in Los Angeles and Orange County! HP LaserJet M601, M602 and M603 printer 13.00.00 error indicates generic jam event code, 13.00.EE Unknown door open, 13.A3.FF Power on jam at the Tray 3 feed sensor, 13.D3.DZ error Late to duplex re-feed jam, 13.D3.D1, 13.D3.D2 (event code) ? 13.D3.D3 (event code) ? 13.D3.D4 (event code) ? 13.D3.D5 (event code) ? 13.D3.D6 (event code) ? 13.D3.DD (event code) ? 13.D3.DE (event code), error 13.E5.FF power on jam, 13.EA.EE door Jam, 13.EE.FF power on jam, 13.FF.EE door Jam, 13.FF.FF power on residual paper jam, 13.WX.EE Jam occurs when a door is opened during printing, 13.WX.FF Power on residual paper jam This jam occurs when the paper exists at any of the paper path jam sensors at power on or door close. Due to the current FW timing requirements, the displayed jam code is always 13.FF.FF, only the event log will have 13.WX, 13.WX.YZ Fuser Area Jam, 13.WX.YZ Jam below control panel, 13.B2.9Z (event code) Page at duplex switchback jam, 13.B2.D1 (event code) Late to registration jam, from Tray 1 This jam occurs when the paper does not reach the TOP sensor in designated amount of time from the start of paper pickup at printing from Tray 1 and duplex, 13.WX.YZ Jam in Tray, 13.WX.YZ Jam inside envelope feeder, 13.WX.YZ Jam inside top cover.